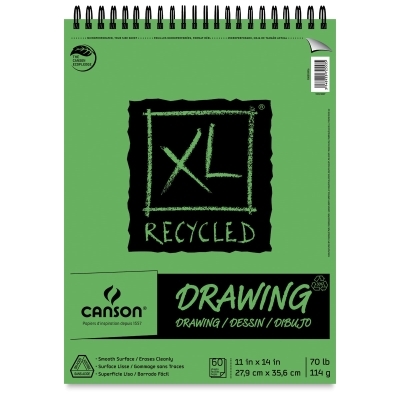 These drawing pads are wirebound at the top and feature generous quality papers at an exceptional value. Produced using environmentally friendly methods, they're made of 30% post-consumer materials. 70 lb (114 gsm) weight. Wirebound at the top; features plenty of sheets at an exceptional value. Create art with a conscience knowing these pads are environmentally friendly with 30% post-consumer materials. 70 lb (114 gsm) weight.